Keen to support more independent businesses/artisans this year? Want to live a more eco-friendly lifestyle? 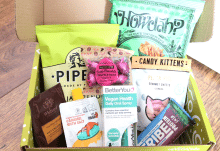 If the answer to both of those questions is yes, then the GreenEcoBox is the subscription box for you! 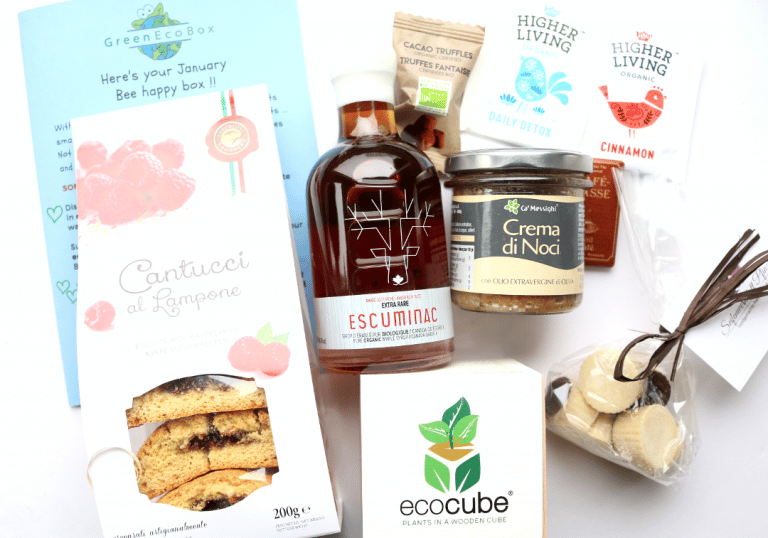 Delivered monthly, GreenEcoBox‘s Bee Happy Box is a lifestyle based subscription box that includes a range of products which are carefully hand-picked from a wide variety of eco-friendly artisans and smaller companies. It’s a great way to discover new products that you can’t find anywhere else, and it’s always such a pleasure to receive every month. 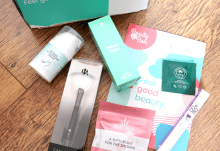 When I opened up this month’s box, I found that everything was in perfect condition and on the top, I found January’s leaflet which details all of the products inside and where they are from. Alongside that, I also discovered their new leaflet that explains the eco-friendly projects which GreenEcoBox support. 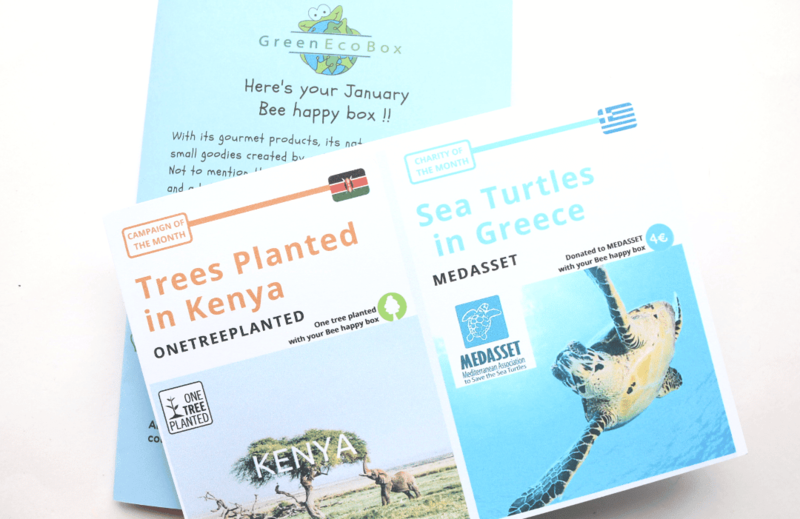 As you can see, GreenEcoBox will plant a tree via OneTreePlanted in Kenya on your behalf (you also receive a certificate of proof inside the box with your name on), and they will also donate 4 euro to Medasset for each box sold – this money will go towards saving sea turtles in the Mediterranean. 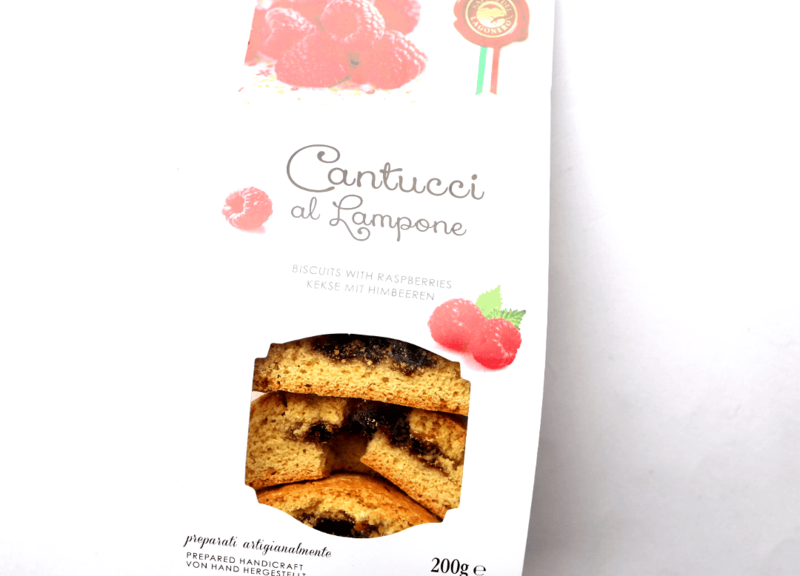 The first product that I took out was a large bag of Cantucci biscuits from Italy. These are incredibly moreish and satisfying to eat, and feature a delicious raspberry puree in the centre of each one which nicely contrasts a little sweet and sour flavour. These crunchy biscotti style biscuits would be perfect with a cup of coffee or tea, or simply enjoy them as a sweet treat when you’re taking a break from your day. 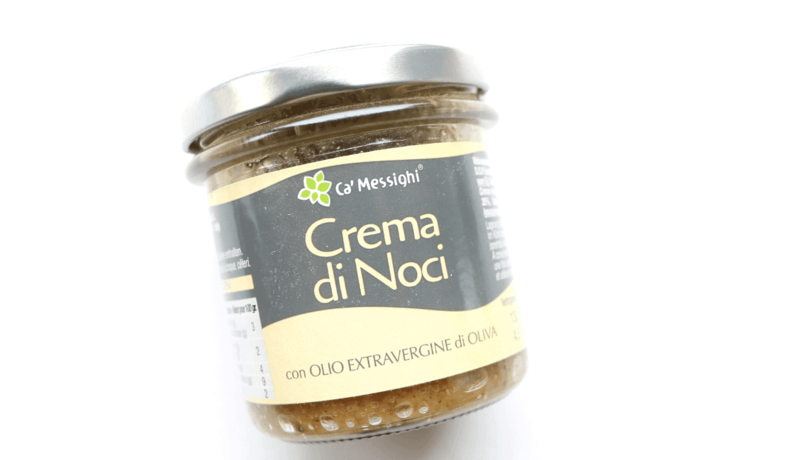 Also from Italy but from a different artisan called Ca’ Messighi, I discovered this tasty jar of Crema di Noci which is a rich and creamy sauce made from Nuts, Grana Padano, Extra Virgin Olive Oil and real Ligurian Cream. It’s a very decadent sauce and works amazingly well on pasta and gnocchi dishes – yum! 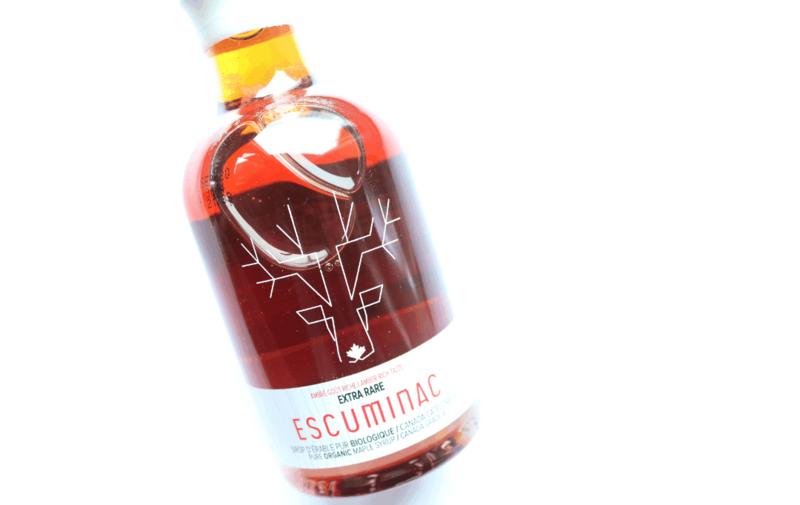 My favourite product from this month’s box is this beautiful Organic Maple Syrup from the Canadian artisan Escuminac. Oh my, I have never tasted anything quite so sweet and pure before! This extra-rare syrup is made in only very small quantities and is produced exclusively when the sap is harvested from the Maple Tree in the first pours (typically the first 3-4 days of the season only, hence its rarity). It has a deep and rich flavour with notes of Caramel, Honeysuckle and a hint of Cinnamon – it’s absolutely divine! 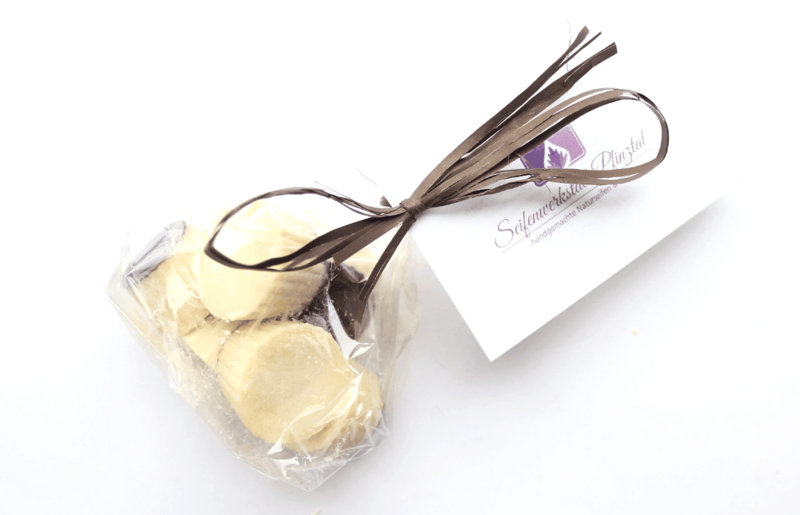 Next, I found a lovely bag of Vanilla Bath Melts from Seifenwerkstatt Pfinztal, a small artisan bath and body company in Germany. Each bath melt or ‘pearl’ is uniquely made so they can differ in shape, colour and size, but they all have the same ingredients which feature Organic Coconut Oil and Organic Cocoa Butter as its base. Suitable for vegans to use, these will be perfect for a really indulgent pampering bath this weekend. Inside this wooden Eco Cube, I found a packet of Organic Chive seeds and some specialised organic growing medium to grow your own Chives at home. Simply add water and place in a bright place. 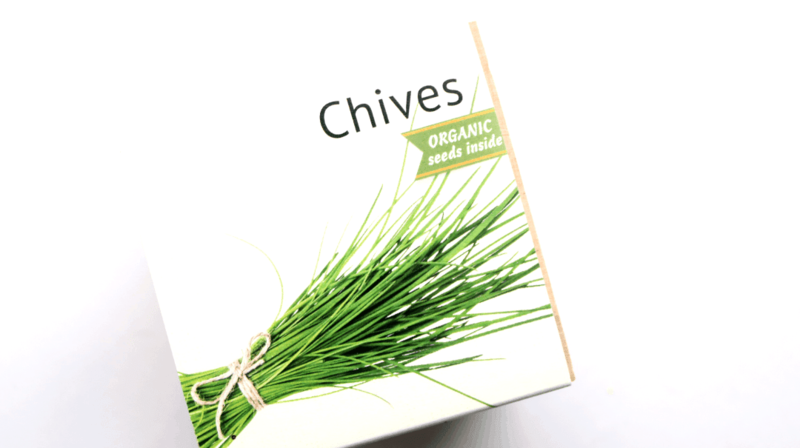 After a few days, the Eco Cube will come to life and you’ll start to see the first Chive shoots beginning to grow. Each Eco Cube is made from 100% biodegradable materials and can be composted after use for zero waste. 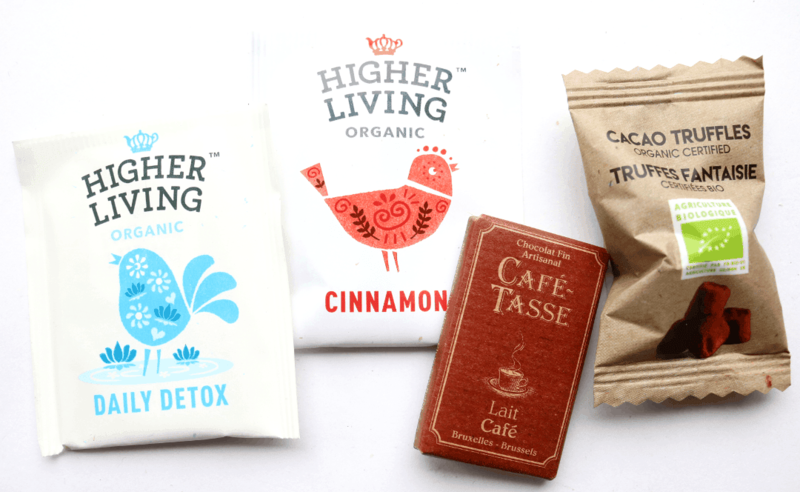 At the bottom of the box, GreenEcoBox had included some nice little extras; two sachets of Higher Living Organic Tea in Daily Detox and Cinnamon, and two chocolates; one from a Belgian artisan chocolatier and the other an organic Cacao Truffle from France. What an amazing box to start off the year with! I loved all of the products, especially the wonderful Organic Maple Syrup!